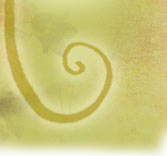 When a hawk drops a feather in her lap one afternoon, it is the first sign that Lark's quiet world is about to shatter. Troths are coming, vicious troll-like creatures, intent on destroying the defenseless village of Merith just as they did years before. 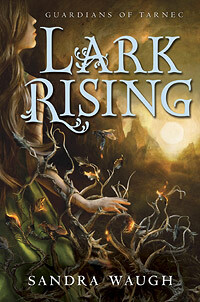 Lark is the one chosen to seek the legendary Riders—the twelve who can save Merith... if they agree. Burdened with the Sight, Lark has rarely strayed beyond the fields by the cottage she shares with her grandmother and beloved cousin Evie. Strangers and crowds can quickly overwhelm; to journey into unknown territory to beg help promises to be a grueling challenge for one so shy. But the dreaded Troths and mysterious Riders are only the first encounters of a much greater journey. Lark discovers she is one of the four Guardians of Tarnec, the most valuable pawns in an all-out battle between the Keepers of Balance and Breeders of Chaos. Lark is charged to find a stolen amulet and return it to the Keepers in a quest to save her world from destruction, a quest she is convinced she cannot complete. 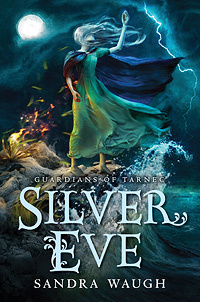 For even if she survives passage through the wild magic of Dark Wood and tomb-like tunnels of Myr Mountains to face the evil Breeders, Lark shares the search with Gharain, a young man who has haunted her visions, who she has fallen in love with, and who she has foreseen is fated to kill her. "The fantastical realm is depicted in vivid detail, simultaneously ethereal and concrete, and populated by both kindly and menacing characters to guide and torment Lark, making this novel a tantalizing glimpse of what is yet to come. [Lark is] a formidable heroine beneath her reserved and gentle demeanor." "This romantic fantasy will quickly draw even reluctant readers into its beautifully rendered world, rich in setting and backstory, with inhabitants both fearsome and innocent. The character development is deep and the intricately plotted story line flows without a hitch and with surprises both pleasant and troublesome along the way. Happily there should be other novels to follow as the remaining three Guardians fulfill their own destinies." "This suspenseful debut, first in a romantic fantasy series, is filled with animism, magical storytelling, and lyrical prose. Featuring a strong and courageous heroine who is constantly reminded to seek balance and trust herself, the story promises more to come for readers that will be hooked."